What better way to enjoy the season’s warm weather than working on your short game! Take in the sights of our glorious landscaping while you and the family enjoy 18 holes of miniature golf. Relax underneath a Carolina blue sky, meanwhile allowing the sound of our waterfalls to wash away the day’s stress. 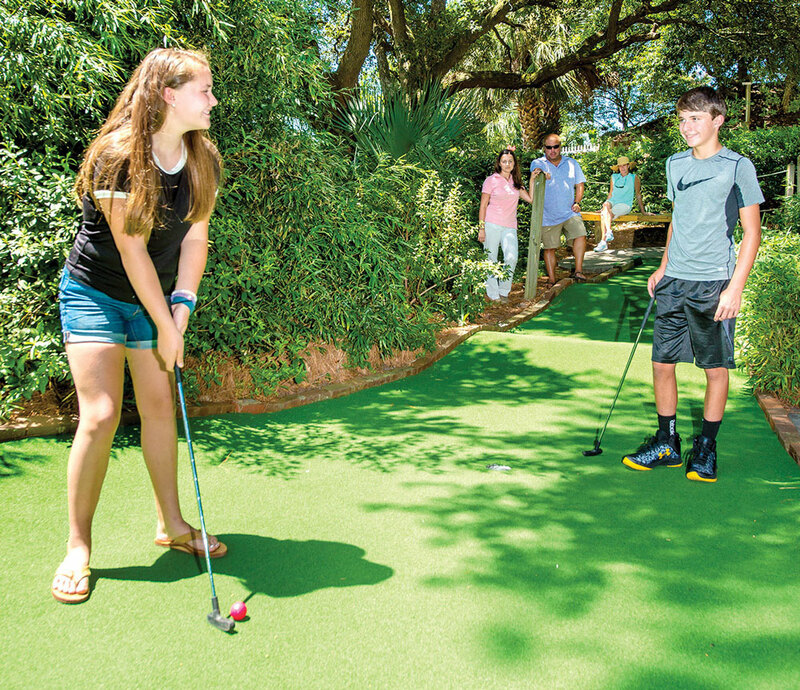 For children ages 2 to 102, Jungle Golf will surely be quality fun for the entire family.